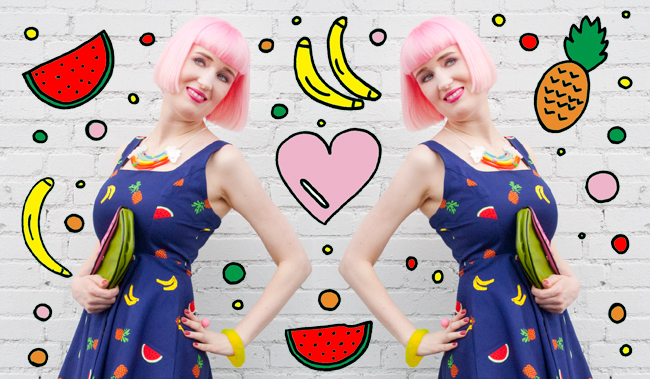 Walking fruit salad: A very bright summer look from head to toe. Candy floss hair: Loving my new pastel power mane. Double rainbow: One for the neck, one for the feet. 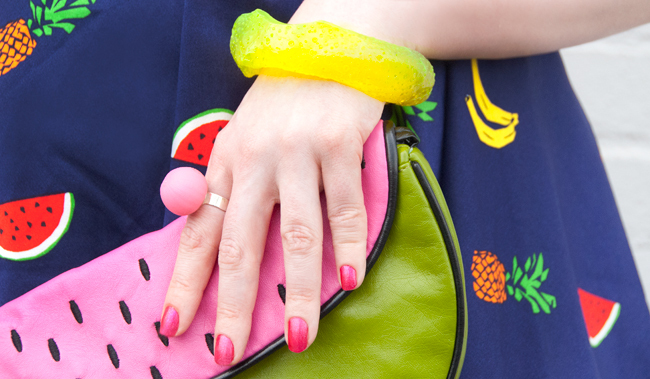 Not without my melon: A fruit shaped bag is the icing of the cake. 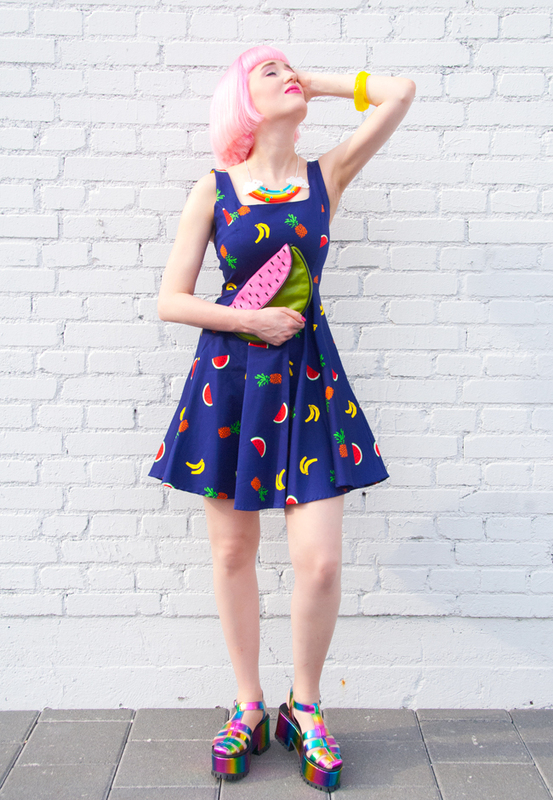 Fruits love sun: An easy to wear look is the best way to do it like them. 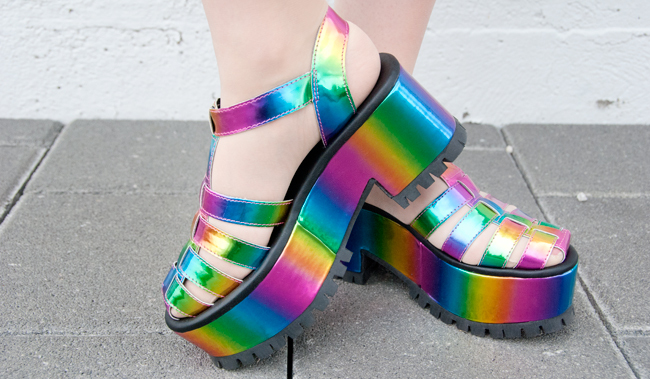 Walking on rainbows: The most shiny platform shoes in the world. Back to a fruits in fashion look, back to pink hair! The old-new hair colour puts me into a playful mood. It feels like having candy floss on the head, and I instantly want to play with it. Headbanging in pastel pink, yeah! Whenever it rains, I am wish for a rainbow. After an afternoon full of moody gray clouds, there is nothing more beautiful than a sky filled with colours. There is just too much gray in the world, and I try to bring a little bit of rainbow into the hearts of the people. 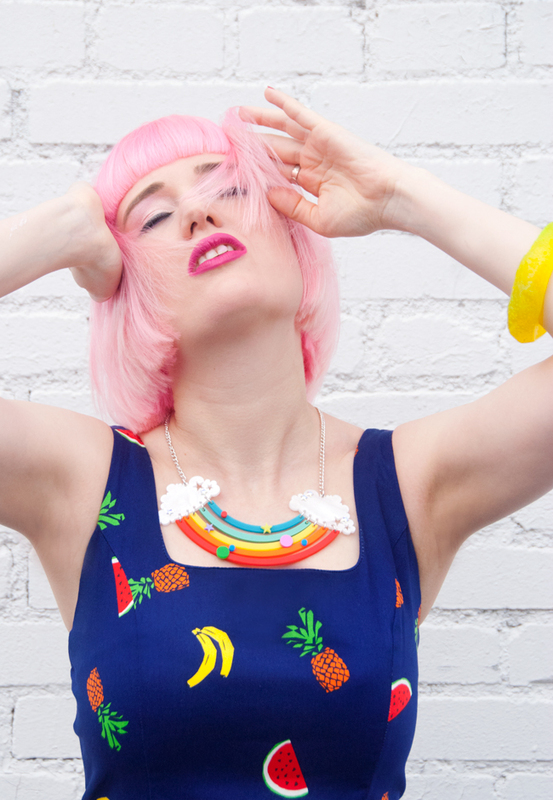 Rainbow shoes and necklace are part of my master plan. The shoes are my first pair from YRU. I've been following this label for quite a while and love their extreme platform shoes. My rainbow sandals caused quite a stir when I went out with them for the first time. The chunky sandals trend hasn't arrived in Switzerland and I caught people staring at them. I bet if I would have robbed a bank, nobody of the witnesses would have mentioned a girl with pink hair, just shiny rainbow feet. So my advice of the day: If you have a bad hair day, just wear shoes like these! Nobody will ever notice it again. Have a wonderful day my lovelies, don't forget your five a day and watch out for rainbows! You make me happy if you leave a few words, telling me your thoughts about this look. 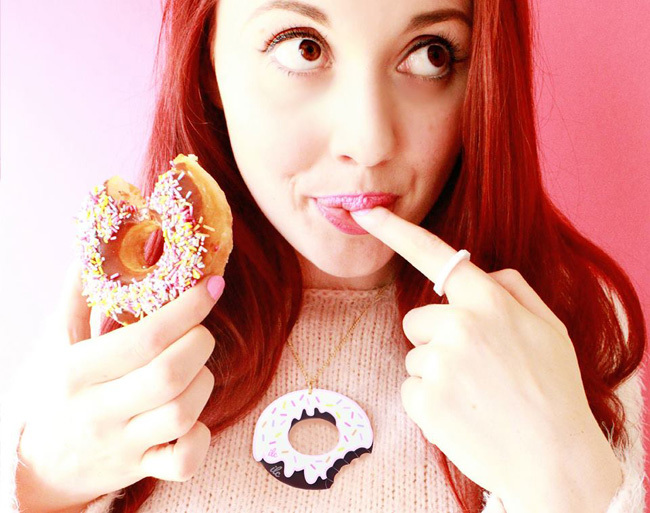 With this post, I wanna say happy birthday to one of my favourite jewellery labels: It's already five years since Laura Hunter started her quirky and unique label I Love Crafty. 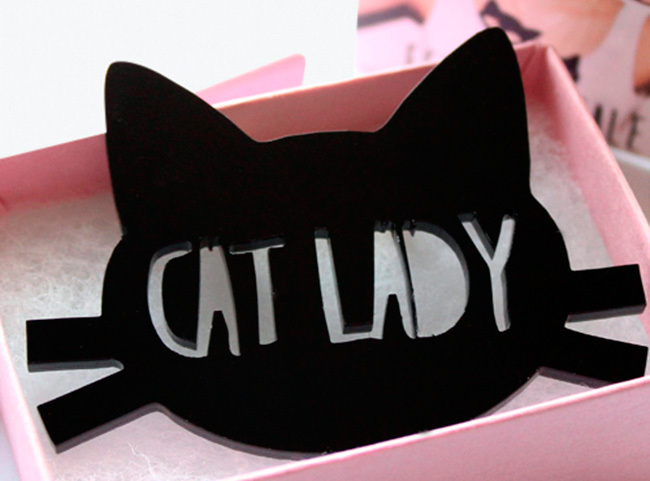 Since then her designs make girls all over the world dream of mermaid necklaces, cat rings and tropical fruit earrings. Laura's products are handmade with a lot of love by herself. 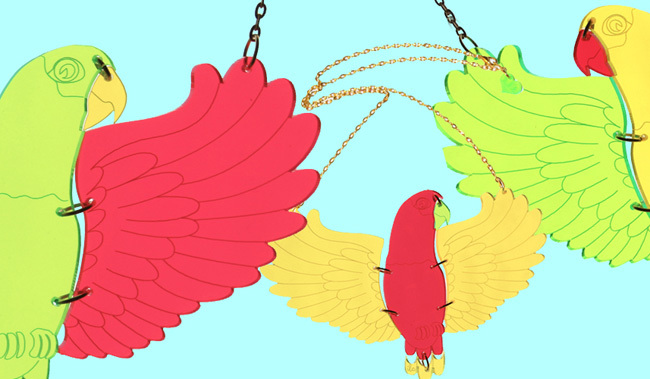 From design to production, she gives a lot of attention to detail and wants to make her customers happy with her colourful acrylic jewellery. So all ladies out there with a passion for the extraordinary should hurry over and visit this shop. Your order will arrive lovely wrapped in pink and with glitter in the box, just like a pretty gift from fairyland. Compliments will be granted, whenever you wear your shiny treasure. Happy birthday to your label Laura! What would you wish for your birthday? Thank you! I guess I'd have to keep my wish secret or it won't come true but as its you I'd wish for all my customers to love their ILC jewellery and feel amazing when wearing it! It was some necklaces I made for my sisters one Christmas. They had a gold tree with a white dove that could move up and down the chain as if it was flying, they gave me the idea to sell after that! You just released a new donut themed collection. What are your next plans now? Have a rest then on to the next collection! Heres a scoop, the next collection is called "Tropics twilight" and is based around my current Tropics collection with a night time twist! Fingers crossed it will be out this September! Which of your designs is your personal favourite piece? Hmmm this question always stumps me! I like experimenting so making new collections is my favourite. I love to create! 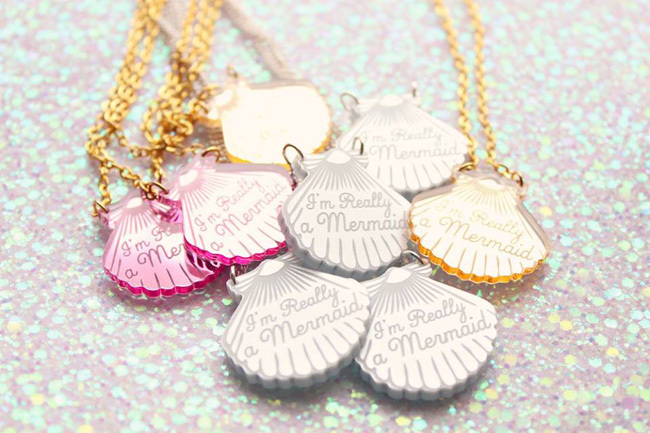 What kind of a girl do you imagine to wear your jewellery? You can shop I Love Crafty here and please don't forget to visit them on Facebook. Copyright of all pictures by I Love Crafty. Handpainted Hahaha Duster kimono from Discount Universe: The best kimono in the universe I say! Different kimonos for every occasion. 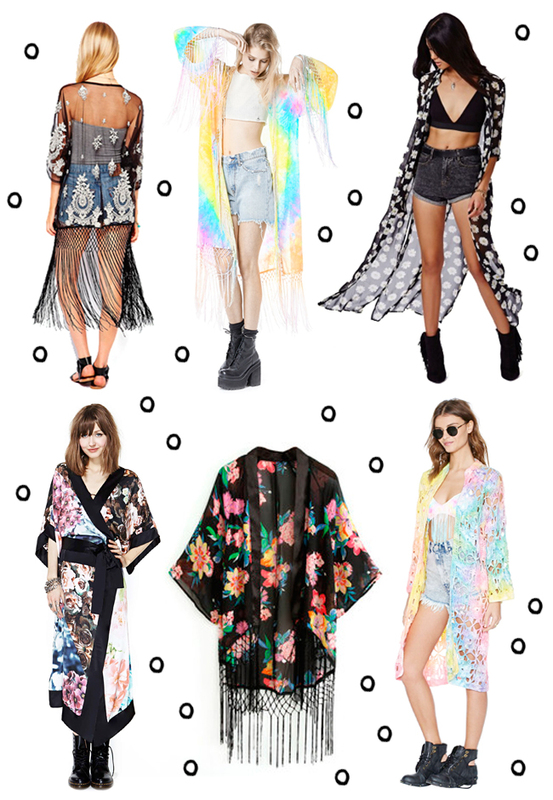 This summer, you certainly can't be without a kimono! This lightweight piece of cloth between cape, robe and scarf is perfect for festivals, the beach or summer in the city. A kimono instantly adds a free-minded touch to your outfits and it's easy to wear. It's rather theatrical how the kimono swings with the wind when you walk, especially if you go for a tasseled version. Unlike a stiff blazer, the breezy kimono is a true relief when the temperature is going up, but you still want something over your shoulders. It's available in a million of styles and lengths. Inspired by Japanese silk fabrics, a lot of kimonos come with delicate flower prints. Especially if they are in a rather boho style, they often come with tassels on the hem. You can wear your kimono to nearly everything from hot pants to elegant dresses. I think it looks best with high heels. You may show a lot of your legs. Stevie Nicks already knew about the perfectness of kimonos in the 70s, today it's our turn to rock this piece of fashion! Will you go for a kimono this summer lovelies? 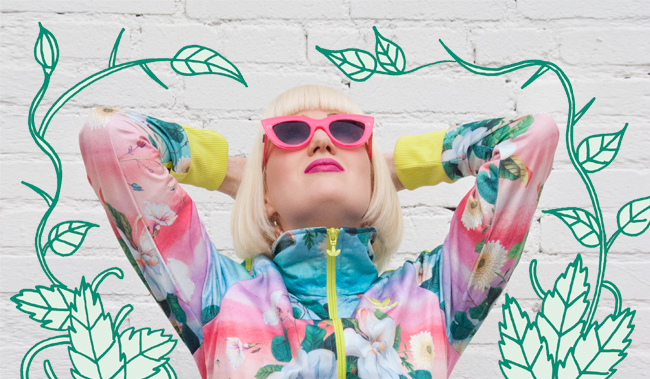 Adidas Originals x The Farm and their flower love has won me over. 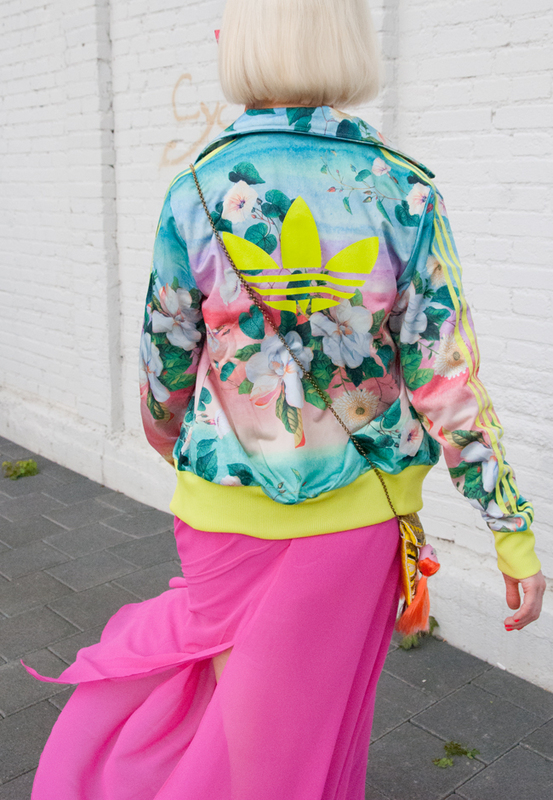 High Heels and Tracksuit: That's how I love to style clash! 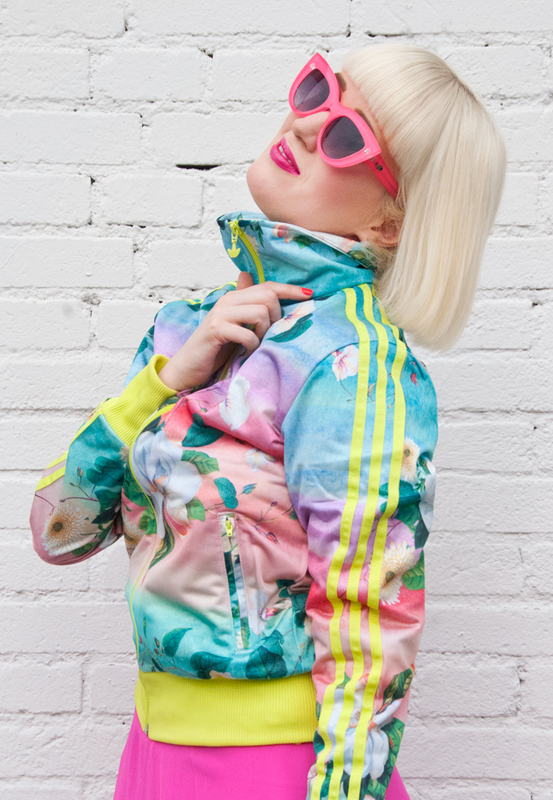 Those colours, that print: From now on my back is my favourite part whenever I wear this jacket. 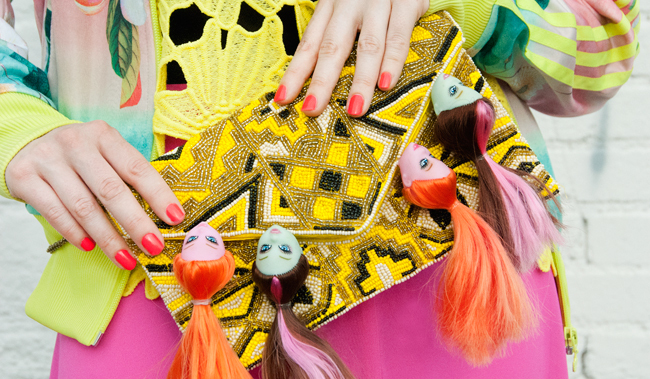 Quirky handbag from Anne-Sophie Cochevelou as an eye-catcher. 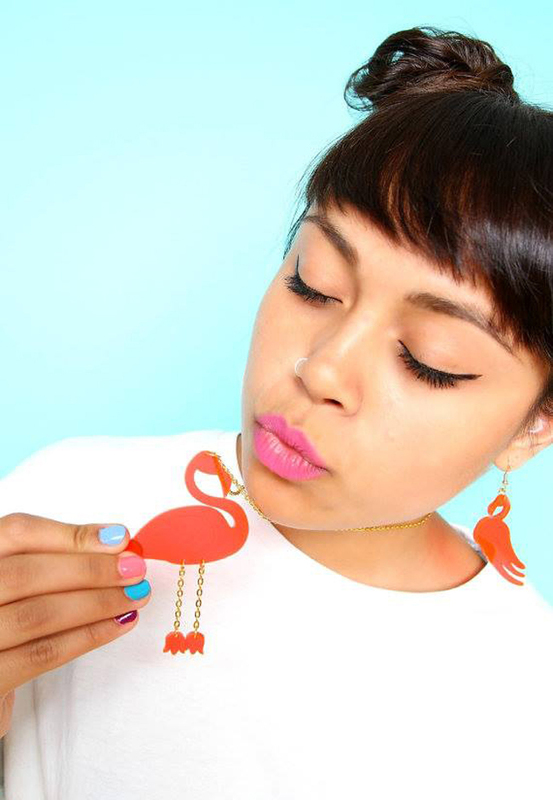 Fishing for compliments with squid earrings. 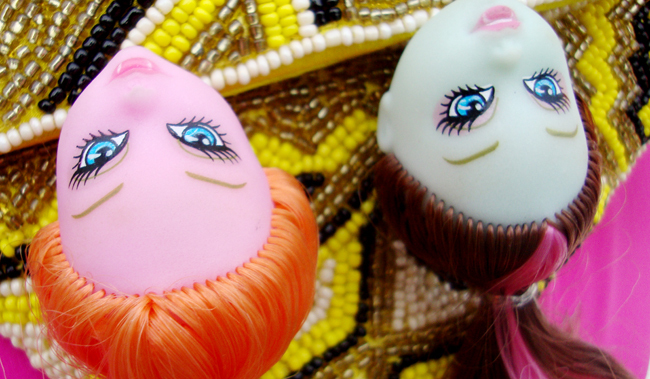 Aren't those pastel goth dolls cute? It was love at first sight. 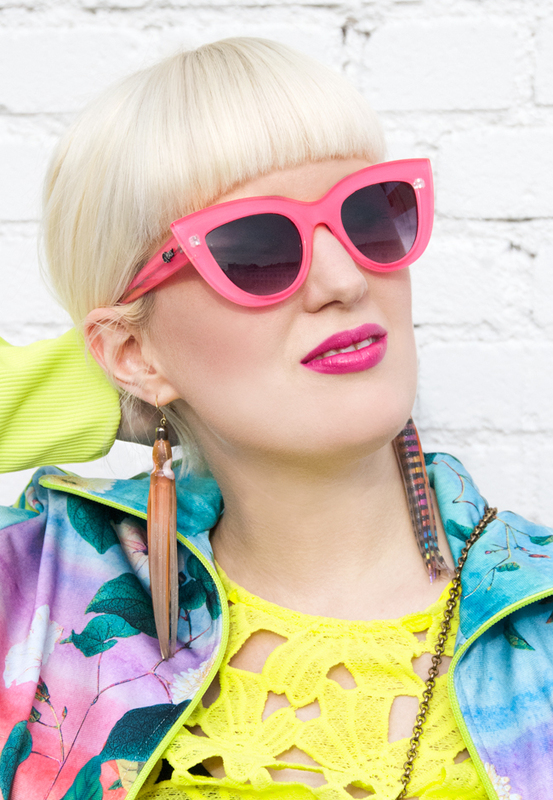 Can't have enough of neon colours? Mix them, just one won't do! Chilly? That's what we have a pretty neon zipper for! Sporty Look + Casual Attitude = Perfect Day! There is so much sporting activities inspiration in fashion at the moment and even I – the probably least sporty person on earth – got a little bit infected. Now, I definitely won't buy myself a pink jogging dress and restyle the look of Vicky Pollard from Little Britain, but I have my first ever tracksuit top now. The print totally convinced me and won my heart. It's part of the Adidas Originals x The Farm collection, a brilliant stroke from the label. All pieces designed by the Brazilian label are full of colourful, happy tropical prints. I love to combine my tracksuit with pieces that are not sporty at all, like you can see in this post. 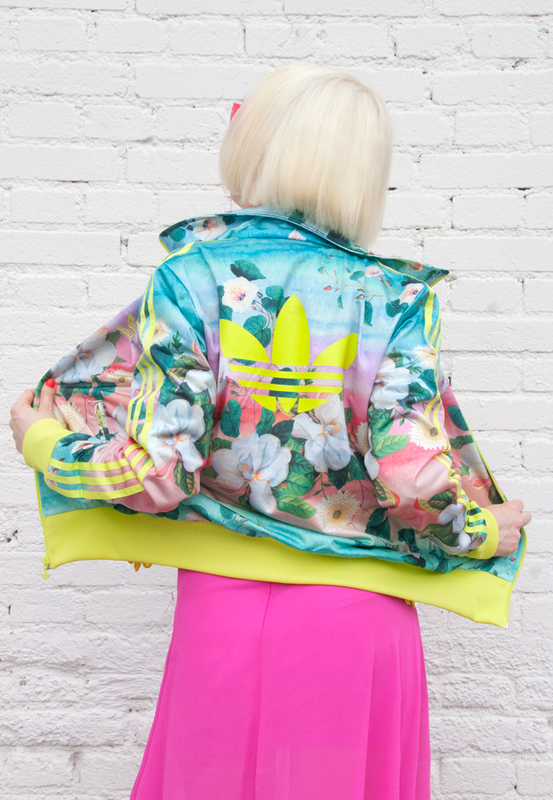 The jacket is too pretty for exercise anyway and deserves to be shown in the city. Wearing towering high heels instead of sneakers completes the look and brings it to a level far away from the playing field. A few years ago, a look like this would have been on top of my Don't list, but somehow this changed and now the time is just right. I don't feel the need to be chic and feminine all the time, but love the "I don't care" and easy dressing attitude. Adidas Originals, if you continue like this, I will have to make more space in my wardrobe! Did you ever expect a look like this from me and what do you think about sports influence in fashion? Sale – the exciting time to get your hands on designer pieces at an affordable price or to buy things from your wish list before they are gone for good. Of course the most comfortable way to shop the sale is online and I had a look at the webshops to present you my sale pick. There are so many pretty things around, I could have easily made a list with 100 things, but just the very best made it to my post. The probably most important thing about styling is to select and limit! 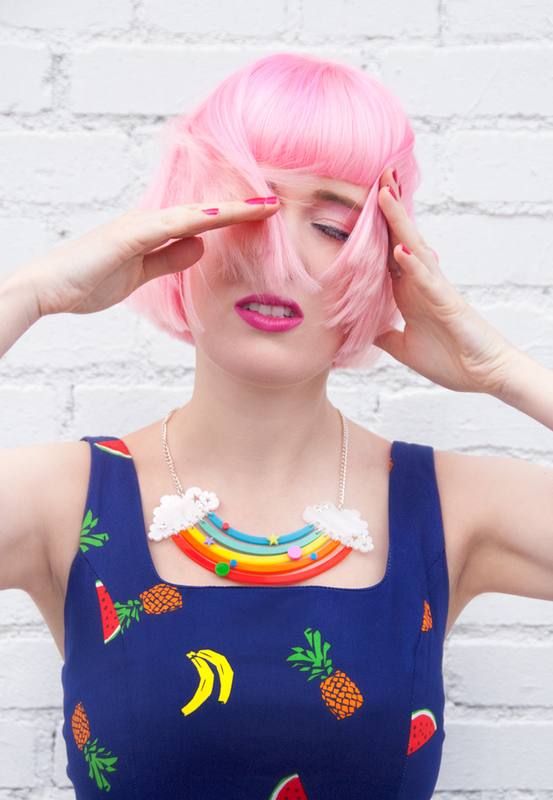 I think especially the pineapple dress (Lalalove London) and the pink/red cloud dress (House of Holland) need to find their way into a lovely shopping bag. Both pieces are an investment for an eye-catching fashion statement. You will regret if they are gone (as will I)! So what are you waiting for: Hurry over and shop! I'll follow you. What do you plan to get from the sale and how do you like my pick?